Queensland cops will be armed with signal jamming guns to down drones at the XXI Commonwealth Games this April. 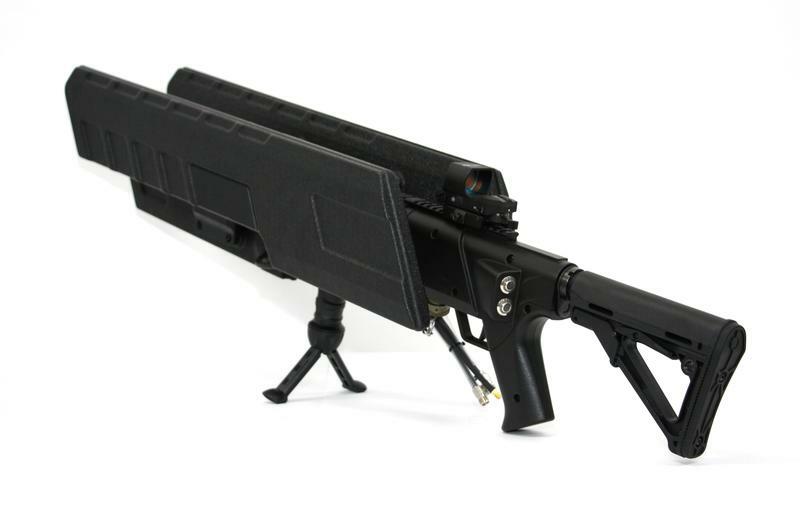 A number of police officers will carry the MkII DroneGuns, which are made by Sydney-based, ASX-listed company DroneShield. The DroneGun looks like a rifle, but instead of bullets, it fires a radio signal which disrupts the communication between a drone and its pilot. 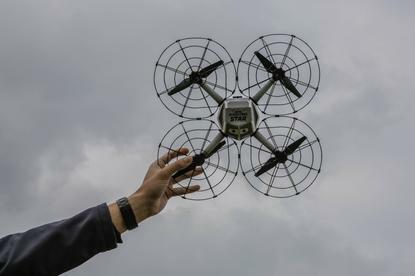 The jammer generally causes a drone to either perform a vertical controlled landing or return to its starting point – the default actions of most drones that lose communication – “assisting an investigation to identify the pilot,” the company said. The device – which has a range of up to 2km – also cuts any video transmission from the UAV to the drone’s pilot and can jam GPS signals. “Given the developments in unmanned technologies, and the trends in the nefarious uses of such technologies overseas, security agencies and militaries worldwide are faced with the need to provide aerial security at all high profile events, in addition to conventional security,” a spokesperson for Queensland Police Service said. “The Commonwealth Games event is a pre-eminent gathering of approximately 6,600 athletes from approximately 70 countries. Consequently, security agencies are providing the highest level of security at the event,” they added. DroneShield has provided security for the past three years for the Boston Marathon and last year for the Ironman World Championship. Last year DroneGuns were used by a Swiss police agency at the World Economic Forum in Davos. Since late last year, DroneShield has been a member of Team Defence Australia, a joint initiative with Austrade and the Department of Defence to promote the Australian defence industry overseas. “Importantly, the deployment of DroneGuns showcases the capability of the domestic Australian defence industry. In protecting the community at the April event, the QPS is able to rely on a product developed by an Australian company, that is dedicated to developing a more substantial relationship with a range of Australian federal and state police and security agencies," the spokesperson for Queensland Police Service added. DroneShield is not the only anti-drone device maker listed on the ASX. Department 13 produces a counter-drone platform called Mesmer. Mesmer works by intercepting the digital radio signal between a drone and its pilot, before using the same communication protocols to take control "by restructuring the communication hierarchy and elevating the priority of one control device over another". The need to counter unwanted drones has also led to some novel, non-technology solutions. Last summer, police in the Netherlands used trained bald eagles to intercept illegal drones. "It's a low-tech solution to a hi-tech problem," police spokesman Dennis Janus said at the time.